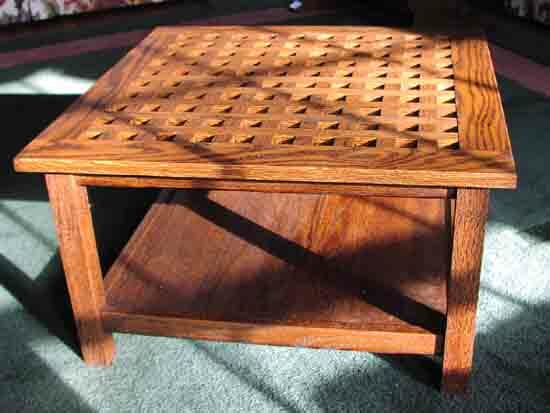 January's project was a 24 inch square, 15 inch high coffee table. Modeled after a ventilator hatch found on an old sailing vessel. Made of solid red oak with a dark stain and hand rubbed paste wax. Joinery is half dado and mortise and tennon.